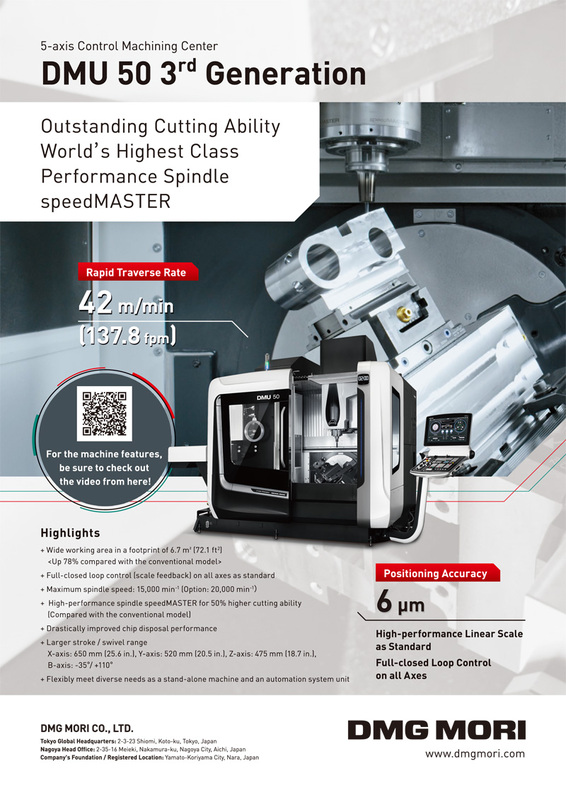 Most ultra-precision machine tools for fabricating optical lenses and lens molds have on-machine measurement units that can be used for form measurement with the workpiece held on the main spindle. However, for lenses with high numerical apertures, such as pick-up lenses for Blu-ray discs and their molds, the form measurement needs to be made even at a large angle of inclination, which is not feasible with a conventional on-machinemeasurement unit. In this study, an on-machine measurement unit with a measurement angle range±75 degrees is developed. Its performance assessment shows that it has high measurement reproducibility. Ultra-precision cutting are then made to verify the effectiveness of the on-machine measurement unit in the correction processing. It is also reported that, in grinding process, high-form-accuracy workpieces can be made through the correction processing by repeatedly using the on-machine measurement unit to make time-series measurements of the grinding wheel wear and by predicting the wear. T. Hirose, Y. Kami, T. Shimizu, <. Yabuya, and Y. Morimoto, “Development of On-Machine Measurement Unit for Correction Processing of Aspheric Lens Mold with High Numerical Aperture,” Int. J. Automation Technol., Vol.8, No.1, pp. 34-42, 2014. H. Ogawa and S. Tanaka, “Illustrated Blu-ray Disc Reader,” Ohmsha, Dec. 2006 (in Japanese). M. Yabuya, “The future of Ultra precision machine tool and its element technology,” Journal of the JSPE, Vol.75, No.1, p.126, 2009 (in Japanese). M. Usuki and M. Yabuya, “Ultra-Precision Aspheric Generator,” Journal of the JSPE, Vol.55, No.6, p.967, 1989 (in Japanese). K. Echigo, M. Yabuya, and Y. Kami, “Processing of optical components and optical mold parts with ultra-precision machine tool,” JSPE Annual Conference Proceedings, 2001. Y. Watanabe et al, “Development of On-machine Profile Measuring System with Contact-type Probe – Improvement of stylus for Contact-type Probe –,” JSPE Annual Conference Proceedings, 2005. Y. Hong, “The Present Situation and Machining Example of Ultra Precision Machine,” Journal of the JSPE, Vol.78, No.9, p.744, 2012 (in Japanese). H. Suzuki, “Multi-Axis Controlled Ultraprecision Machining and Measurement,” Int. J. of Automation Technology, Vol.3, No.3, 2009. Y. Koike, D. Kono, A. Matsubara, and I. Yamaji, “In-situ Measurement by Using a Measurement-Fused Machining System,” Journal of the JSPE, Vol.76, No.8, pp. 945-949, 2010. K. Yoshizumi et al, “Ultrahigh Accurate 3-D Profilometer Using Atomic Force Probe Measure Nanometer,” Journal of the JSPE, Vol.68, No.3, p.361, 2002 (in Japanese). S. Kawai, “Lens dictionary & encyclopedia,” Optronics, 2009 (in Japanese). T. Hirose, “Ultra Precision 5-axis High-Speed machine “Nano Aspher ASP01UPX,”” Nachi Technical Report, Vol.19, B2, 2009 (in Japanese).